Audrey Large’s project life.vfx takes a unique approach to life and explores how we can design it as if it were a visual effects (VFX) film. Audrey already sees life as a screened condition: “Like in VFX movies, life is a mix of computer-generated images superimposed on an analogue reality. Somehow I feel our material surroundings are simply the non-objects of a cinema studio: a mock-up waiting for digital augmentation.” The project is a proposal for a design methodology that uses digital image manipulation as a technique for material transformation. If we see our lives transformed as they are by the screen, images are objects, and objects are images. To get rid of the duality between real and virtual, Audrey proposes to treat matter like moving images. And since we live and think in an editing mode, the design of our surroundings should be driven by compositing and image processing. Design is all about image and seduction, a smart combination of visual effects. In this methodology each visual effect used in cinema, represents a potential design tool to envision objects differently. Her ‘.mocaps’ are 3D-printed images of everyday objects that, like in a movie, have undergone a series of manipulations. 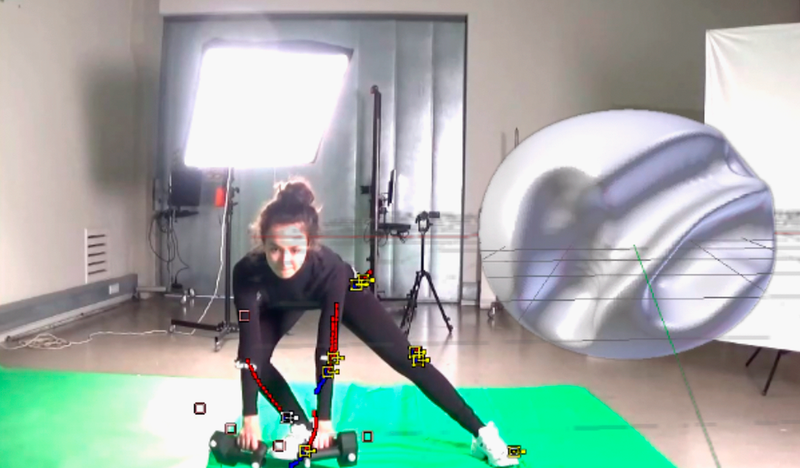 In a backstage set-up, the motion capture of the stunt-designer transforms stereotypical shapes and movements into new entities. They are the unexpected results of the attempt to alter images from reality.